The lead Vocalist of Poison- Bret Michael Has A Girlfriend or Single? 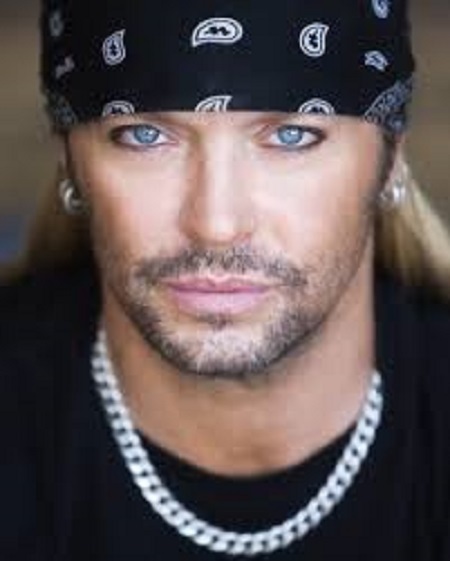 The Poison rocker, Bret Michaels, created a stir and became the center of the gossip when the famous Miley Cyrus’s mother, Tish Cyrus, and her husband separated after 17 years of their marriage. Now about that stir, as believed he was allegedly linked with Tish Cyrus and that he was the reason of Tish getting a divorce with her husband. To be precise, Michaels is famous not only for this incident but also for his link ups as well as breakups. But what about now? Is Bret Michaels seeing someone again? Or is he single? What do you think? Being engaged twice and having more than three alleged girlfriends in the past, the famous American singer-songwriter and musician Bret Michaels is believed to be single right now. Yes, the glam metal and Michaels’s female admirers might be enjoying this pretty well. Well, after the alleged affair with Miley Cyrus's mother, Tish, the sources claim that he has not been involved in a relationship with any other female as of yet, however, the claims are yet to be confirmed by the rocker himself. Headed into #LasVegas for an awesome private event with some legendary friends & The B*M*B! #AdventuresOfBandanaMan #FollowMyTravels #PartyStartsNow #VivaLasVegas #SummerBash???????????? Moreover, there are fair chances of him not making his relationship status public or might actually be single or perhaps is concentrating on his career at the moment. What’s your say about this? We know his relationship status is not pretty clear right now, but when it comes to his past affair is quite vivid and here we bring you the past affairs and relationship of Bret Michaels. The past affairs and relationships of Bret Michaels: Know all about his girlfriends right here. Starting with his ex-fiancé, Michaels was engaged as mentioned previously. Back in the finale night of his reality show, Life as I Know It, Michaels proposed his long-time on/off girlfriend of 16 years Kristi Gibson and of course she said yes. Bert Michaels’s relationship with fiancé Kristi Gibson, however, ended as the couple called off their engagement in 2012. Though their relationship ended, for the sake of their daughters, they remained friends and stayed committed to jointly raise their two daughters. "With all that Kristi, Raine, Jorja and I are going through, no doubt this is a very difficult time for all of us, I want all of you to know that Kristi and I remain great friends and committed loving parents to our daughters. I am blessed to have someone as great as Kristi in my life in any capacity." As they say, all’s well that ends well, same is the case with Bert Michaels. Enough about Bert Michaels and Kristi Gibson, for now, as promised, its time to let you know about his other girlfriends. To be precise, he was in a relationship with Pamela Anderson with whom his personal private tape was leaked to the public back in 1998. Also, some sources claim that he also has been allegedly involved in a relationship with names like Taya Parker, Ambre Lake, Destiney Sue Walker, Jessica Rickleff, and Miley Cyrus’s mother, Tish of course. We all, of course, know that we can’t deny his romance with Tish but he does. I’ve been friends with her family forever.It started out with me and Miley simply working on a song together. Her mom, Tish, likes “Every Rose Has Its Thorn”, the first concert Miley ever saw was Poison, and so they wanted to remake it for the new record. Well, whatever be the real scenario back then and in present, the Poison rocker in the industry will always remain the same. Bert Michael was born as Bret Michael Sychak. He was born on March 15, 1963, which makes him 54 years old now. He was born in Butler, Pennsylvania, USA. Bert Michael is a Pisces. His song Poison was sold over 50 million records worldwide. Bert Michael is an insulin-dependent Type 1 diabetic, diagnosed at age 6. Is an avid fan of the Pittsburgh Steelers.